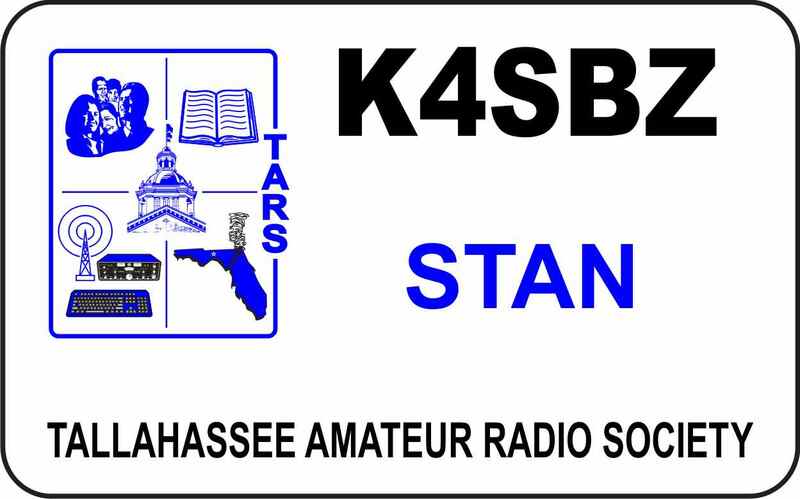 The Tallahassee Amateur Radio Society (TARS) is a general interest radio club with membership concentrated in the greater Tallahassee, Florida area; although the club’s members also come from many other areas in and around Florida's Big Bend. You need not be a licensed amateur radio operator to join TARS. An interest in radio communications is all that is required. Students at any level can join for free. The Tallahassee club is affiliated with the American Radio Relay League (ARRL), the national association of Amateur Radio operators. TARS is active in local public safety communications, including the Gulf Winds Track Club Marathon, Spaghetti 100 and TOSRV bike rides. Other activities include an annual Field Day emergency communications exercise, an Amateur Radio equipment auction and maintaining several repeater stations serving amateurs in Leon County. The club regularly conducts free licensing classes under the ARRL volunteer examiner program. Please visit the TARS web site for additional information. The TARS name badge measures approximately 2" x 3 1/4" and is $12.50 which includes the standard safety pin fastener. Other fastener options are available, including the popular Magnetic Bar, please see below. Click here to see other fastener choices.